When was the last time you evaluated your company LinkedIn page? Does it represent your brand well, attract prospective clients and showcase your business as an authority in its field? Many small businesses take the necessary steps to create a company LinkedIn page, but aren’t quite sure if their page is doing all it should. Here are some advanced tips to make sure your business page is the best it can be. A Showcase Page is an offshoot of your company profile page that enables you to promote a specific product or service that your business offers. And because Showcase Pages have analytics, you’ll be able to track visitor interest in those products or services. Let’s say you sell digital cameras. You can set up a Showcase Page that highlights your best-selling camera. Or, if you run a pet shop, you could highlight your pet grooming services. 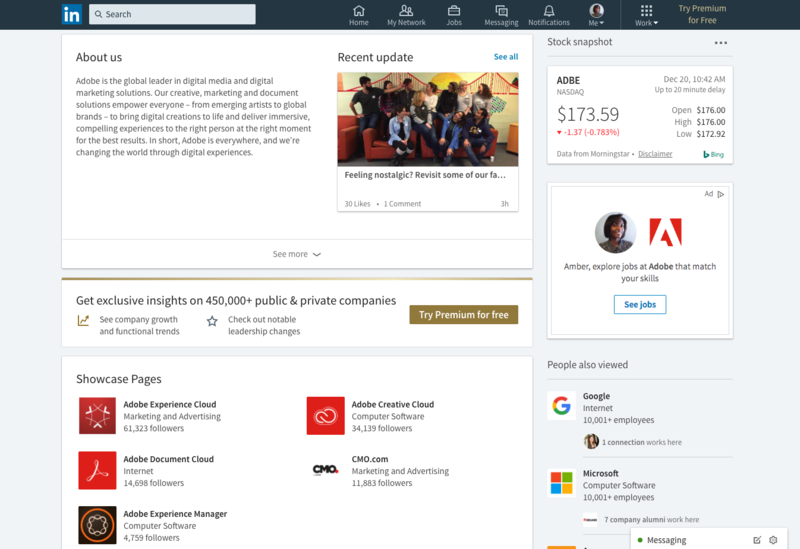 On your LinkedIn company page, Showcase Pages are below the About Us section. Look at the Adobe page below and you’ll see how they would appear on your own company page. To create a Showcase Page, look under the Edit tab on your company page and select “Create a Showcase Page.” Then fill in the same information that you did for your company page, but geared specifically to a product or service. LinkedIn allows you to set up 10 Showcase Pages, so focus on your best products and services and remember to maintain these pages as you make changes to your offerings. What words would your audience use to find your business? Create a list of five to six words or short phrases and add those words to your profile page. 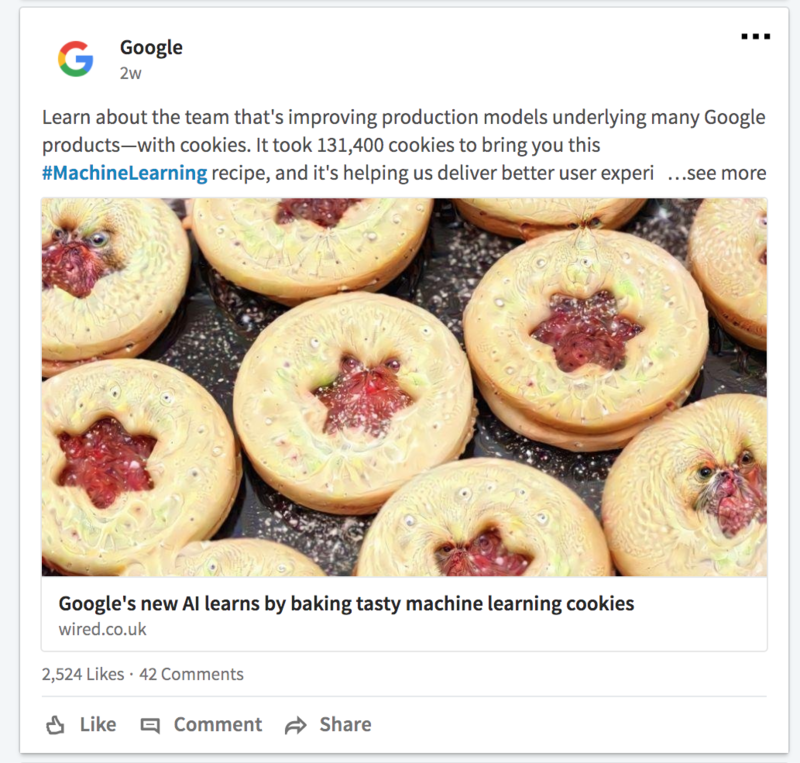 If you need a little help in the keyword department, you can use Google’s Keyword Planner to help you create a list of keywords to incorporate into your page. 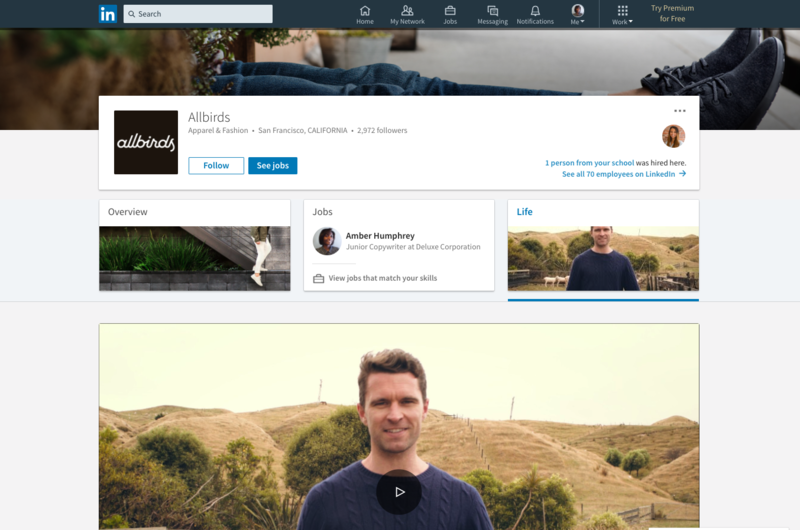 This recent addition to the LinkedIn layout empowers you to show users who you are in a way that goes beyond the products or services that you offer. It’s like a behind-the-scenes look at your company’s culture. You can use the Life tab to highlight activities that your team has participated in, philanthropic work that you’ve done and even the languages that your team speaks. 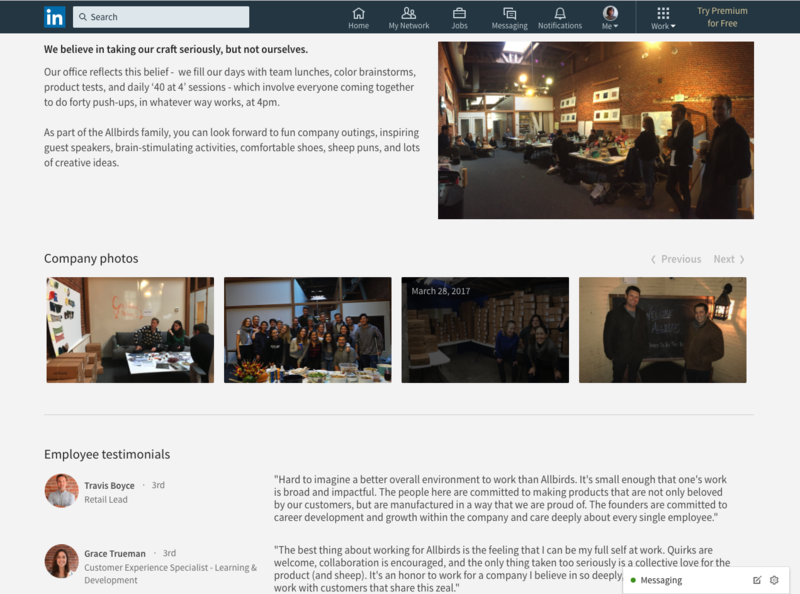 This is also a place where you can feature Employee Perspectives — sharing content that team members have published to LinkedIn — and employee testimonials. Taking the time to customize the features under this tab can be especially beneficial if you’re using your LinkedIn page for recruiting purposes. But it’s also a great way to give visitors a glimpse at your business’s unique story. Ask questions: Give your audience a reason to comment on your updates by asking a question. Then follow up with a link to a blog post on the topic. Share unique statistics: Nothing gets an audience talking like a unique statistic. Find a stat that applies to your business, or better yet, share some statistics from a recent customer survey to generate a conversation. Share a link: Updates with a link drive twice as much engagement as updates without one. Link to a recent blog post you wrote, a YouTube video that you like or an industry-based news piece. Add a photo: Research shows that simply adding a photo to your post can increase comment rate by almost 98 percent. With more than 530 million users worldwide, LinkedIn is an excellent place to market your business. Make sure you put your best foot forward by updating and optimizing your company page. Editor’s note: This post was originally published in April 2015 and has been updated for accuracy and relevance.